Congratulations to students and staff in our Culinary Arts program! Recently, they were honored with the 2019 Elite 50 award from Sullivan University in Louisville, Kentucky. 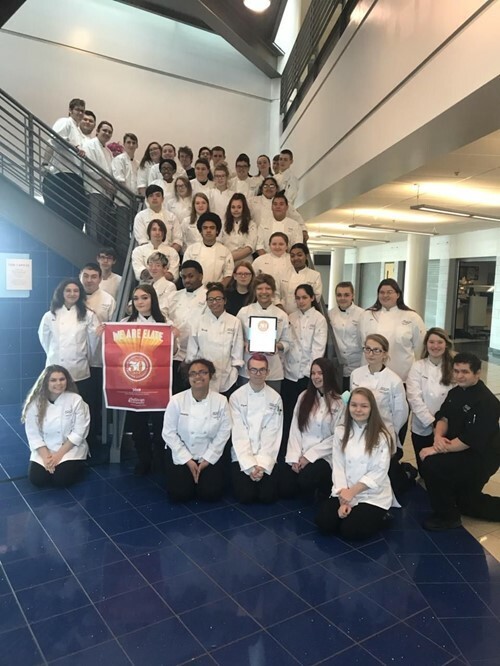 The award is presented each year to high school Culinary programs that excel in the areas of culinary arts, baking and pastry arts, and/or hospitality management. Futher consideration for the award was given to schools who operate a restaurant or offer catering services as part of the student training. Penta is only one of 11 schools in Ohio to be presented with the 2019 Elite 50 award.